Logan Erickson, 16, Polson, has been selected with about 40 others from a pool of 20,000 contenders across the U.S. to play with an Under Armour Baseball Factory team. Because he’s been involved in camps with different colleges, he received an invitation to try out Oct. 9 in Spokane. A good camp shows college coaches that you are ready to move to next level and ready to work hard at playing baseball, Erickson explained. 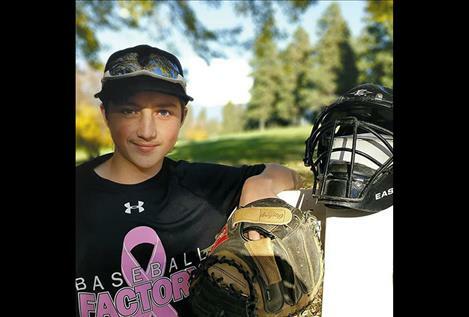 The Polson High sophomore has been playing baseball since first grade when he started with T-ball, and currently is a catcher with the Mission Mountain Mariners. A catcher, he explained, has to have durability to stay throughout the whole game and stay positive, and be a good leader. Erickson will play with the Under Armour Baseball Factory team in Mesa, Arizona, Nov. 10-13 and again Jan. 13-16.